BenQ's 70" RP703 interactive flat panel is designed to bring the most engaging interactive learning experience into today's classroom. Featuring the latest collaborative learning functionality, including 20-point multi-touch design, multi-platform compatibility with driver-free touch connectivity and a host of other features developed specifically to help teachers connect quickly and easily to present more engaging, collaborative classes, which can help students retain more of the material presented. •Some display manufacturers rely on a technology called Pulse Width Modulation, PWM to control backlight illumination on their displays. This can cause viewing discomfort over time. 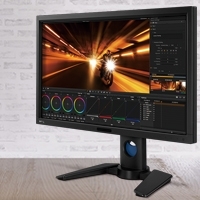 •BenQ ZeroFlicker Backlight technology delivers even, consistent backlighting to ensure comfortable viewing over time. •BenQ's Low Blue Light Technology reduces blue spectrum light emissions, which can cause eyestrain and eye fatigue over time. AG glass minimizes reflections on the screen surface. Conventional glass generates distracting reflections. Enabling touch functionality on the RP703 is as easy as connecting a USB cable. No drivers to install, no settings to change, just simply connect the supplied USB cable from the computer to the display and you are ready to touch-interact with content from any supported operating system. *Mac OS: 10.6 to 10.9 Supported. It is recommended that screen calibration be performed before using the IFP to ensure proper touch functionality on OS X 10.10. 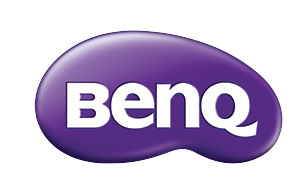 Please contact BenQ for the required calibration utility. Compatible with all major operating systems, Windows, Mac, Linux and Chrome OS, the RP703 is built to work seamlessly with a wide range of computing devices. Just plug and play. No additional drivers necessary to enable touch functionality. 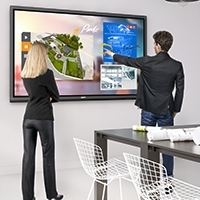 Fast, smooth, responsive 20-point multi-touch helps create a collaborative learning environment while making it easy for teachers and students to use technology. Up to 20 students can work simultaneously on projects for a truly interactive learning experience. Teachers can easily switch between different input sources by touch. Saves time and is quick and easy to use. The RP703 features a custom Android™ Operating System that provides various useful tools for classroom instruction, Includes everything from an Office Document viewer to Web Browser, Media Player to EZWrite, an on the fly touch writing application. 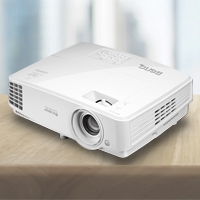 Intuitive design enables teachers and students to immediately start using technology and enjoy the benefits the BenQ RP703 provides. Note: Android™ is a trademark of Google Inc.